What a moving account of his life of consecrated service! We did not meet him, however we did meet his dear wife Chansay in Vientiane last year and heard many wonderful stories about him. Uncle Kanna, through the story about you, I was once again remembering one of the best persons I have known in my life. One of those that I had always looked up to. His smiles and kindness, his humility and patience, his steadfastness, and his untiring service to the Faith are among my own inspirations. I will forever miss you Uncle Kanna. Thank you for being such a good friend, best teacher and uncle to me especially during my stay in Cambodia. Be very well up there with our dear Blessed Beauty. We are praying for you always ?? My regret is not having to visit you while you were in Laos. I would have had the honor to share with you some of the songs which you had encouraged me to continue to share. After having spent most of my Bahai life in Iraq and Afghanistan (where there was really no believer I came across), I am now in Dubai. I am happy, attending Bahai activities which I missed for more than 10 years after becoming a Bahai in 2002. Please do continue to look after me from the Abha Kingdon, and pray for my soul. 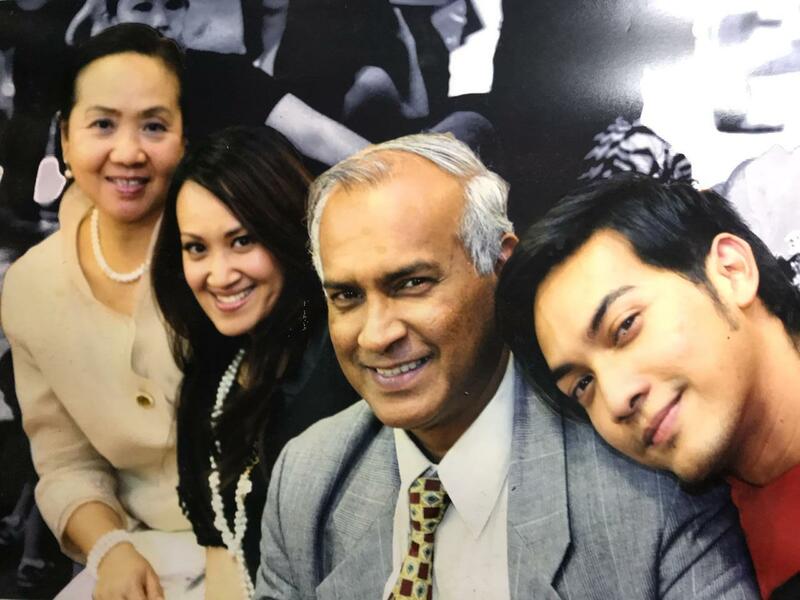 Thank you for being a part of my Bahai life Uncle. You will always be missed. I hope to get a chance to meet Auntie Chansay, Santi and Ridvan once more. Hugs and love from here to you! An exemplary, devoted and dedicated life, a true servant of the humankind. Thank you Mani, for bringing up such noble story that carries a lot of inspirational moments. What a strange coincidence. Exactly 15 days before his passing, I received a call from Kanna over Facebook Messenger. That was most unexpected. We spoke for close to one hour. He was candidly sharing several of his experiences in his life as a pioneer, most of which are included in this story. The essence of his parting message to me was “Have full faith in Bahá’u’lláh. Bahá’u’lláh knows everything, and He can never be wrong in whatever He has destined for us”. That was the time when I was going through some difficult moments and true enough, with the faith in Baha’ullah, the wisdom of my ordeals were revealed to me. Its again faith, faith and faith. I just read your write up on the life of stalwart pioneer Kannabaran. His life was certainly exemplary in many ways. 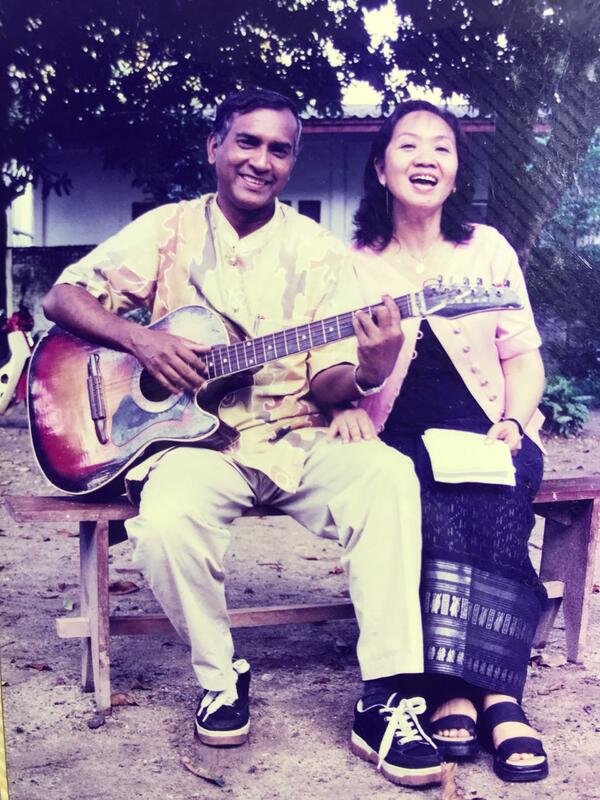 I first met Kanna in Bangkok in 1982 on my return journey from Burma (Myanmar). He shared many of his experiences. I also met Firyadun with him. I spent a night in his house. He was then already married. He gave me a piece of cloth to give to be given to his grandpa in Nibong Tibal. I last met him in 2015 Bangkok during a Huququllah Conference. To me Kanna was a truly a valiant and dedicated soul. Thanks Mani . Our relationship with Kanna goes back a long way ever since he pioneered to Thailand , Laos and Cambodia. He did very well and was richly rewarded for his work . I am too much overwhelmed now with remembering him. He was so gentle, loving and so powerful a personality. I stayed with him in Vientiane and he was such a gracious host to my wife Counselor Loh Lee Lee and me always . He was one of Lee Lee’ s most favourite friends in the field in all the 3 countries where he served the most . 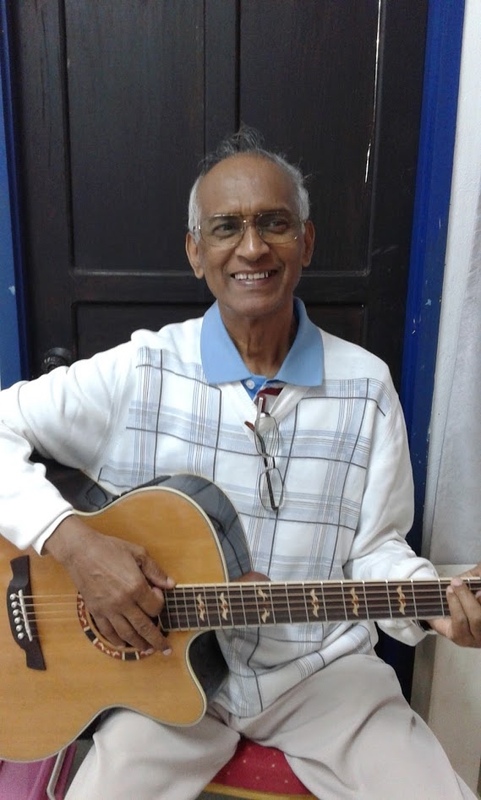 The late Kannabaran came into my life in the 1980’s when I met him at a Winter School held in Port Dickson, Malaysia. He had the gift of many languages. He was an inspiring person in nature. I have listened to his talks, and have chatted with him in one of the visits to Butterworth. He was a youth at all time, and remained youthful throughout. My prayers are for his radiant soul. I had the privilege of meeting this great soul twice, and both were during Huququllah conferences. The first was in Indonesia and then again in Laos. From what I observed he as a lovely person, soft spoken and very courteous. He is a Linguist. I asked him how many languages he spoke and he replied he knew 15 languages and was still learning Russian as his 16th language. Curious as I was, I asked him how he could learn so many languages. He said that the first 5 languages are normally difficult but after that it would be easy to pick up any language with relative ease. I am sure the Blessed Beauty has a special place for such dedicated souls. 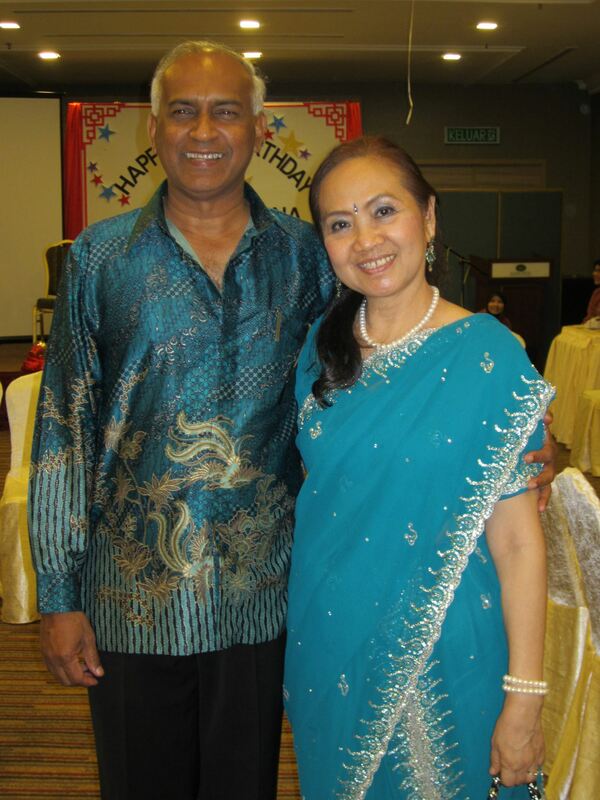 It was the early 1970’s when I met Kannabaran at Dr. Sreenivasan’s Chaygin Clinic in Butterworth. That Clinic doubled up as both a Clinic when there are patients, or a Baha’i Center when the patients have left. A group of youths had enrolled in the Faith and Kannabran was in the forefront of youth activities. I found out that we belong to the same Alma Mata, St. Xavier’s Institution, Penang, although it was a gap of about 7 – 8 years. I was his senior. This added to our bond of friendship and I remember seeing a photo of Kannabran so elegantly placed in the School Prefect’s uniform. We recount being only two of the students who accepted the Faith from the Christian Brother’s School during those days. Kannabran pioneered home-front to Nibong Tebal and that became a stopping point on the way for any teaching team that passed by from Taiping, Pokok Assam and North Perak The Area Teaching Committee of Penang, Province Wellesley and North Perak was happy to learn that Kannabaran had laid a foundation in Nibong Tebal, which this Committee found so difficult to penetrate. Kannabaran was able to gather the youths and the usual programs included s slide shows at night in one of the local school halls. As Mani has stated Kanna’s teaching activities riled his grandfather with whom Kanna was staying. The situation got so tensed up that Kanna told me that his grandfather wanted to chain him (or already chained him). There was a turn of events came and I vaguely recall the grandfather recounting some incidents he encountered with the Faith. That was when opposition stopped and eventually the grandfather accepted the Faith. 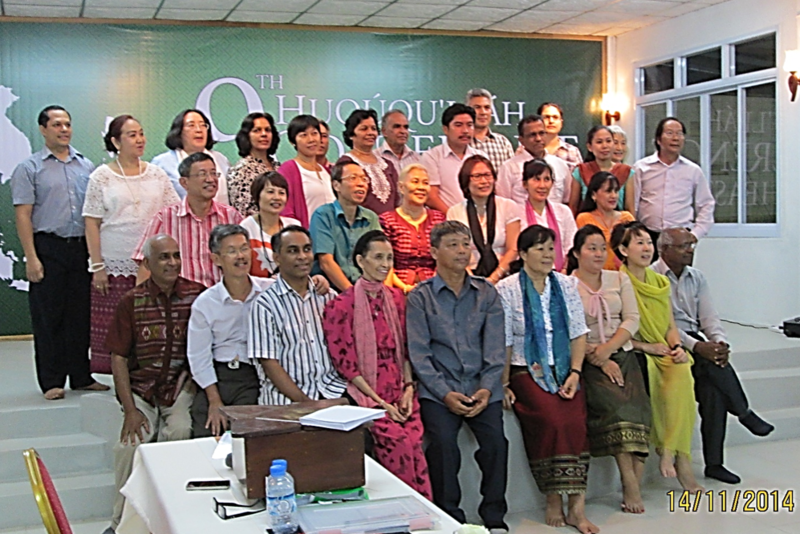 It would be another 40 over years before we met again, this time in Vientiane, Laos in November 2014 during the Regional Huququllah Conference there. 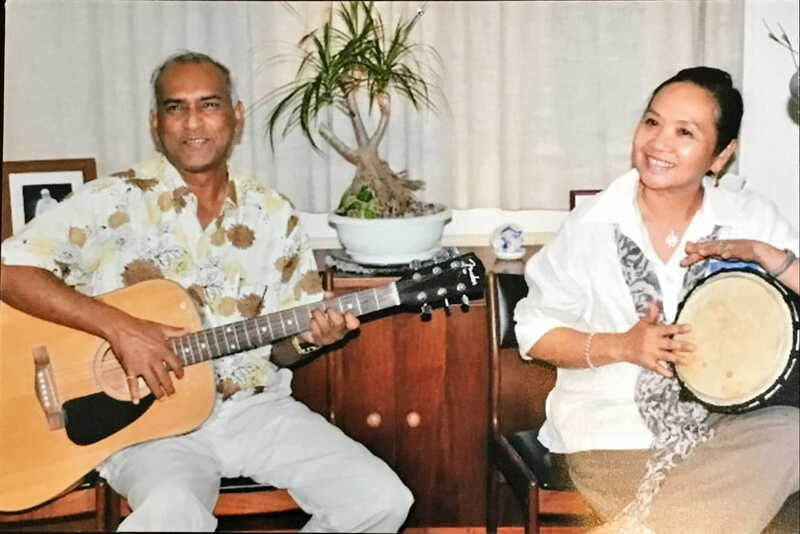 I have always kept abreast of Kannbaran’s pioneering days of ups and downs in Laos and Thailand and it was really a re-union to meet and have dinner with him together with the friends from Singapore. The bond between us was something very special and it goes beyond just beyond friendship. That was a great write up on Kannabaran. I had always known him as a very humble and soft spoken believer. Although he was praised for his services, he was not hanging with his nose high in the air. The last I met him was in Bangkok at a Huququllah conference. It is such stories that make us reflect what we ourselves have to do for the Faith. Several of our elders like Kannabaran have truly set examples and set the way for us to tread. I have just finished reading the write up on the life and Bahai service of Kana. I remember Kana vaguely, as I really did not get to know him well. From the way you described his life and his Bahai service , he must certainly be a very fantastic Bahai. He should be one person we should admire and respect. You have brought to life, another great Bahai pioneer through your ardent research and patience. Once a person starts reading it , he or she can’t stop till it is finished. The last part of your write up touched me to tears! Too interesting! We have truly lost a great soul. God bless him. Without your hard work, we would not be able to know so much about the life of Kana and also other great Bahais of whom you write in your popular blog. 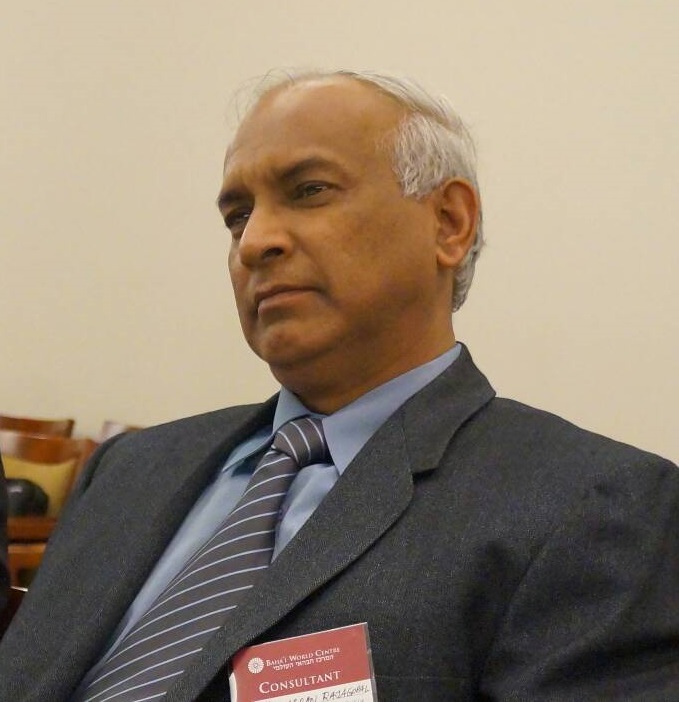 I would like before all express my heartfelt thanks to my brother Manisegran and Bahai historian for this piece of write up on Kannabaran – a precious gem among the servants of the Cause of God of our time. For without this article, only a limited number of people would have had the opportunity to know this spiritual giant and veteran of the Army of Light. I had been pressing Mani to write a story on Kanna and after some persistence he has come out with such a wonderful story. I register my personal thanks to Mani for obliging. 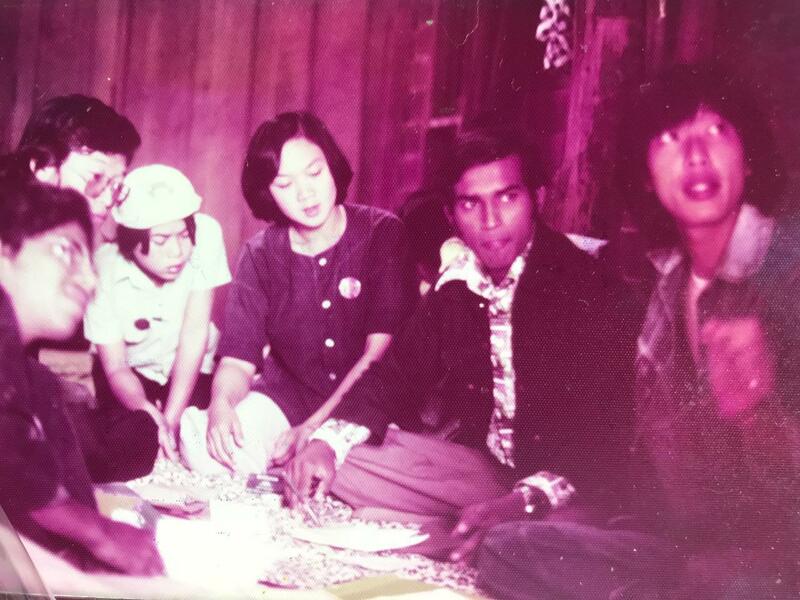 My association and friendship with Kanna began in 1972, a youth of 19 when I met him first in Summer School in Penang. From my first encountering with him the signs of devotion, sincerity, enthusiasm and relative maturity was visible in him. 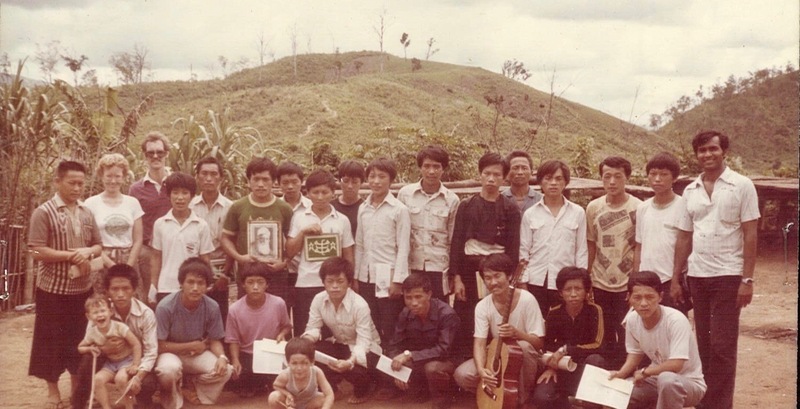 Kanna was the only one among over a hundred summer school participants who expressed the desire to pioneer in Laos where my wife Giti and I were pioneering, and asked me if he too could pioneer to Laos. His offer for pioneering in Laos came as an answer from God. My wife and I had been praying to Bahaullah to send a pioneer to Laos who needed spiritual, practical, energetic, devoted, selfless, humble and enduring qualities. Surprisingly Kanna was the perfect make, as these qualities were clearly manifested in him. I could recognize them in my one hour of conversation with him at the Summer School. From that moment on we sat together, talked, walked, ate, had fun at the Summer School. Finally Giti and I met his family and traveled together to Laos. That was the beginning of life- long friendship, working and serving the Faith together that lasted for forty six years till the last days of his remarkable earthly life when his radiant soul took its flight to the Abha Kingdom. Kanna was that radiant soul that always placed the interests of the Faith first before his own, his family and the world. A few hours after his passing, and during the following three days of his funeral all I could see and think and hear was the voice of Kanna and of the events of forty six years of the memory, of working together, undertaking teaching projects and consolidation trips, consulting, solving problems, empowering the youth and adults, expanding and advancing children classes, training children class teachers, youth animators and the moments of humor and fun all of which passed my bewildered mind like the flashes of light and left me bemoaned of irresistible separation that not even tears of emptiness could heal. Perhjaps Kanna was needed in the Abha Kingdom to serve in a different capacity. My life in Laos has been very much blended with the life of Kanna in almost all areas of service. I pray that I will have the chance and the honor of working with him again when I shall meet him in the Abha Kingdom. Thank you Manisegaran for the well written recollection of my dear friend Kannabaran….brings back old memories..? I have been a regular reader of all your stories. The touching article that you wrote on Uncle Nagaratnam- I have printed and compiled into a booklet. I am sure many readers are doing the same with some of the stories that could have touched them. Now that you have written on Kanna, I decided to register and give my comments. 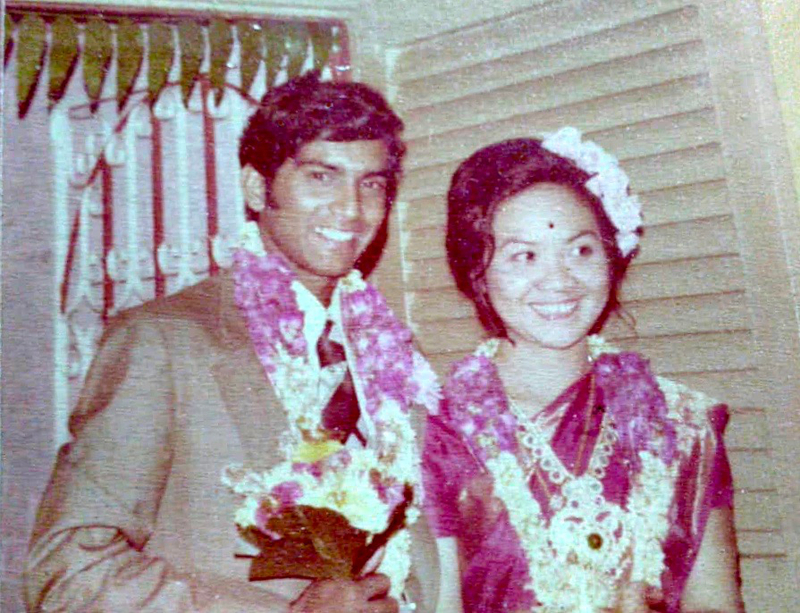 I had known the ever radiant Kanna way back in 1975 when my wife was admitted in the Bukit Mertajam Government hospital for delivery of my son Sanjeev. Kanna’s grandmother was also was admitted at the same hospital. Apart from attending to his grandmother, Kanna was very helpful to my wife during her stay there. My brother Shan was the Medical Officer in that hospital then. That simple and yet impressive gesture of Kanna to go out of the way to be helpful, I can never forget. Bahaullah creates some people for some purpose. Kanna was one of them. Thank you very much for so kindly sharing the life story of our dear Kanna with me. 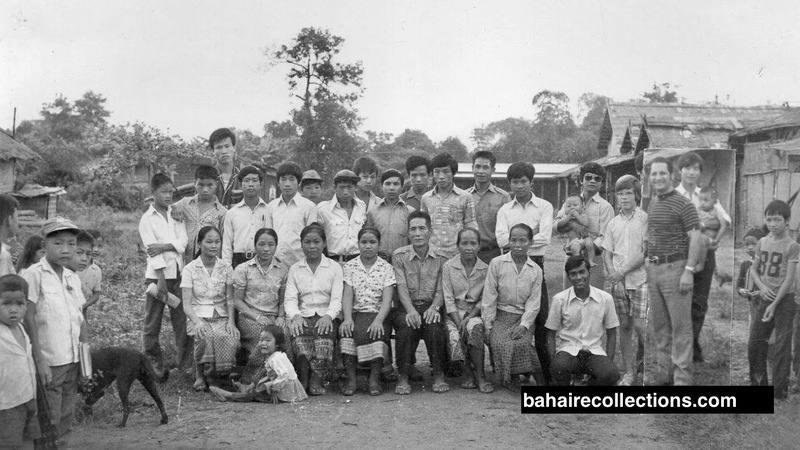 During 1981-86 that we were living in Bangkok, we had the pleasure of working closely with Kanna especially in connection to keeping a relationship with Baha’i refugees from Laos. Here I often meet Bijan Beyzaee and together we remember incidences in Laos and Thailand. I deeply appreciate and value your efforts in collecting life histories and producing such historically important stories. A well written article of such a dedicated and vibrant soul in the service of Baha’u’llah. Thank you for the inspiring article on this valiant soul. 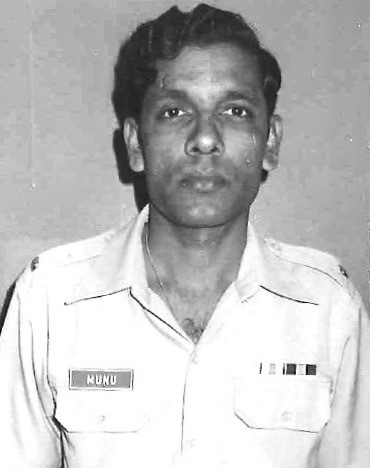 Kannabaran had another destiny but it was changed by Hand of the Cause of God, Dr.Muhajir. 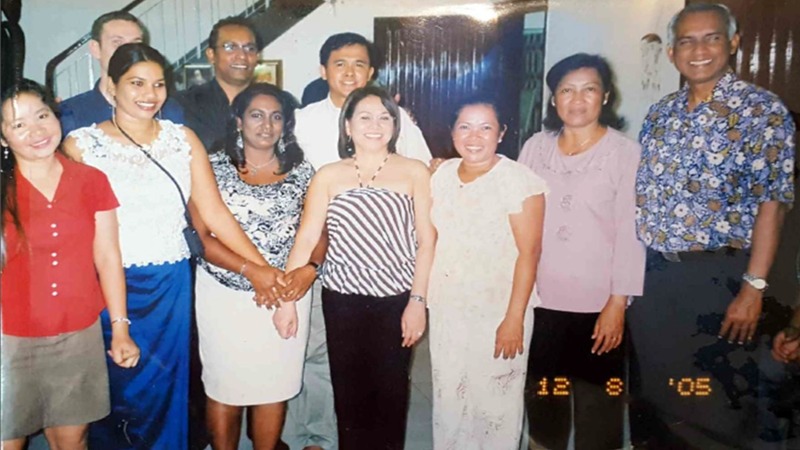 When the request came to the NSA of Malaysia from the Universal House Justice in 1972, to send 10 youth travel teachers to Africa, Kannabaran was among the 10 in the initial list prepared by the National Assembly of Malaysia.The National Assembly cabled the Bahai World Center. In response, Dr.Muhajir cabled the National Assembly that he was arriving, and requested a meeting with the National Assembly, and conference with all the key believers, Counselor and Auxiliary Board Members. Dr.Muhajir came and together with the Counselors and National Institution reviewed the needs and challenges of Africa.Then a new list was developed.The travel teachers selected were from the NSA- 3 members; from the National Teaching Committee- 2 members; and Kamachee and Nargis Astani. And later at the Penang summer school, Kannabaran than volunteered to pioneer to Laos. I knew and heard of Kannabaran since he declared. I remember him from the days he joined the Faith as stories of his dedication and service reached the National Office.He was well regarded and spoken very highly by all who came into contact with him. Being in the National Co-ordianating Committee(NCC), we all appreciated his work and enthusiasm with which he served our Beloved Faith. 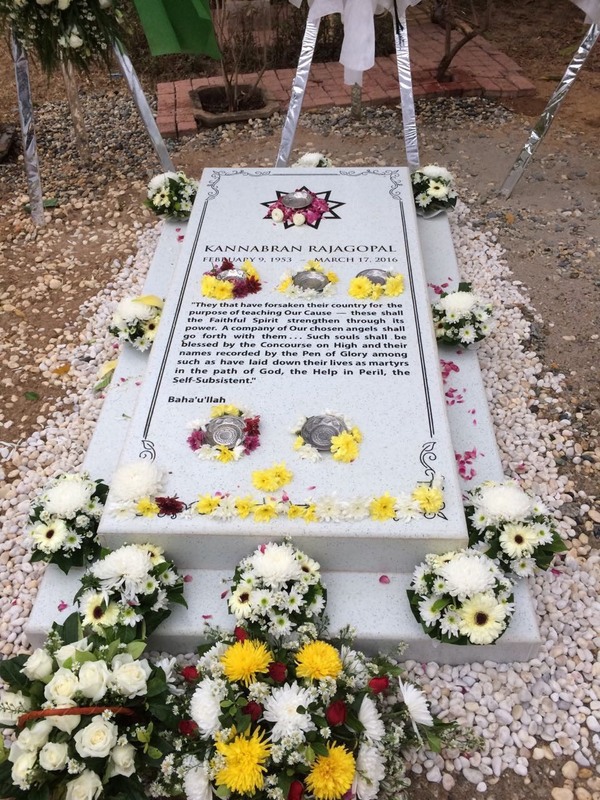 Kannabaran left a legacy of dedication, commitment and service which will always be remembered. He served till his last breath and set an example for all the youths in Malaysia. 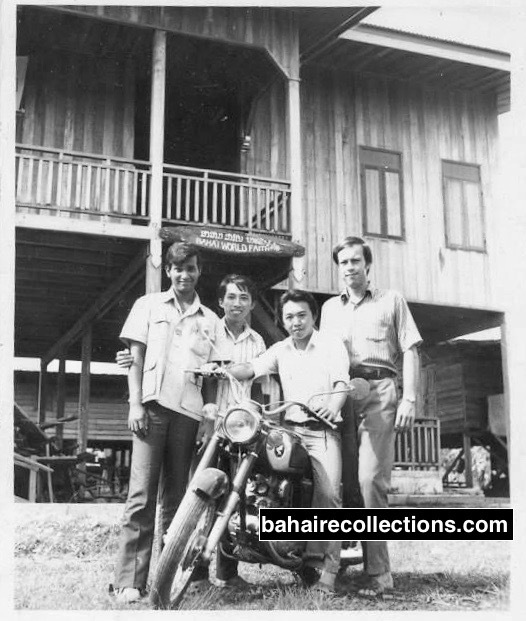 The Malaysian Bahai community’s standards and dedication to service were set by some of our early believers like Yankee Leong, Leong Tat Chee and Inbum Chinniah. With these home-front examples and encouragement by the visiting Hands of the Cause like Dr.Muhajir and Collis Featherstone, youths like Kannabaran took ownership of our Faith and gave everything he had, time, commitment and dedication to serve his Lord. Oh Baha’u’llah what have you done!!!!! I met uncle Kanna in person only in early 2005 in Cambodia in his capacity of Auxiliary Board Member for Protection, though I had heard about him before that. The first thing anyone would notice was his warm and charming laughter and radiant smile. As many have rightly pointed out in their comments, uncle Kanna was indeed a man of many talents and languages. 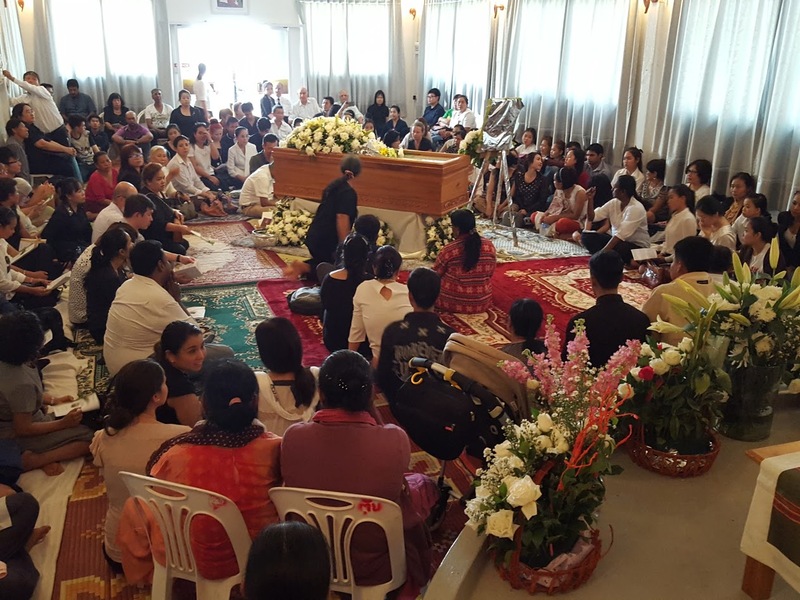 To us in Cambodia, he was a walking ‘Light of Guidance’ and a man of principle. He always promoted unity, peace and love amongst the friends. He encouraged them to spread happiness and get actively involved in any projects undertaken by the Spiritual Assembly. One would depend absolutely on his wise advice and guidance whether it was related to the Faith or work. He loved singing while playing his guitar. 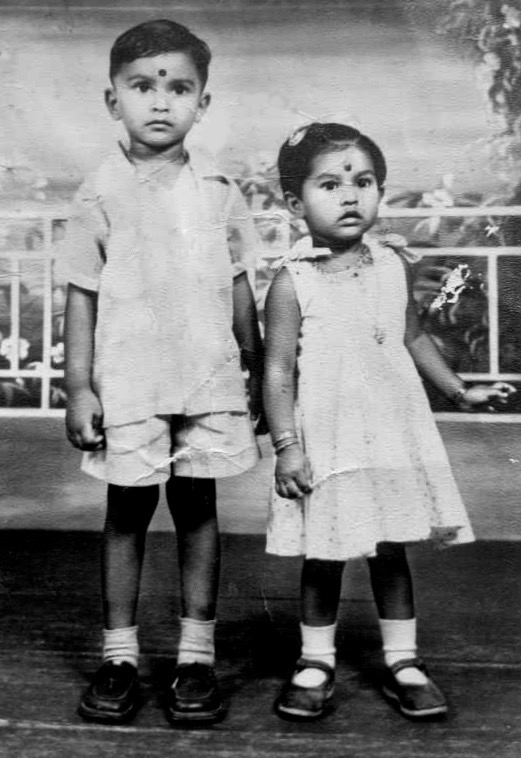 He loved to speak in the Tamil language, which was his mother tongue, with those who knew Tamil like us. He would often ask me to chant prayers in the Tamil language. Many friends in Cambodia til this day consider uncle Kanna an able and effective Auxiliary Board Members. Yet to many others, he had simply played the role of a father-like figure!. He is deeply missed, and shall remain in our hearts for the rest of our lives. I shared your biography of Kanna with Art Crisfield (an American who worked in Laos with USAID before 1975, and later came back to Lao with a PhD, and worked as an interpreter from the early 90s. He helps translate documents like proposals for the TLC-Brotherhood, of which I am a member. He is now a team leader in NE Laos as a volunteer. He has traveled with Kanna in Laos in about 1995. He appreciates the biography, and I found time to read some of it and it filled me with tears. Appreciate your efforts. Wish I had more time to read these great histories, but have other priorities now. I once took a long 2-day SUV trip with Kanna to Pakse, in the days before the road from Vientiane was finished. I think it was in 1995. He was the life of the party ! He talked so fast, I could hardly keep up with him, full of good humor, cordial and helpful with a ready smile. He was a Lao-English interpreter of amazing skill. And that is why he and I were hired to accompany a Human Resources specialist from the US in charge of a Lao Ministry of Plan training workshop. But he was so good I did not have to do very much – mostly training plans and handouts. He was a prince of a fellow, indeed. And what a biography !